At the negotiations Igor Sikorsky KPI was represented by Vice-rector on international relations S. Sidorenko, Deputy Vice-rector on international relations K. Yudkova, Head of the Foreign Economic Activity Office A. Shysholin and representatives of faculties and institutes according to the list of fields interesting for Korean partners. Such fields include computer engineering, mechanical engineering, and other engineering specialties, natural sciences. The meeting traditionally began with a tour around the university. Guests were acquainted with the exposition of the State Polytechnic Museum of Ukraine at Igor Sikorsky KPI and exhibitions of the Department of Aviation and Cosmonautics. Then the negotiations with the administration of our university started. The participants showed their presentations in order to give some general information about their schools and discussed issues of active educational exchanges. 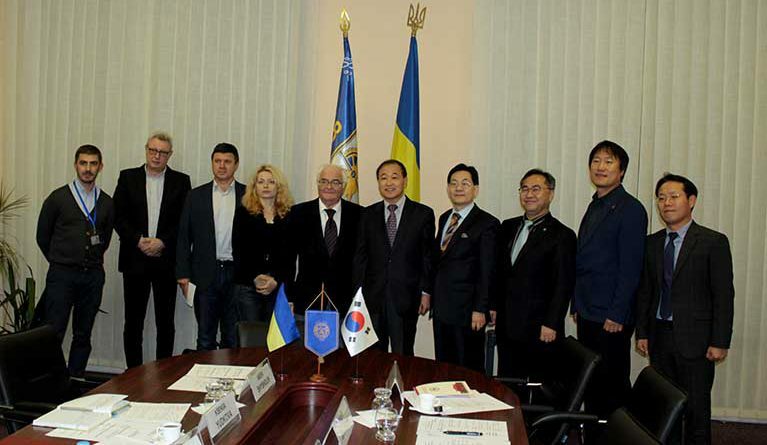 During the meeting, the Memorandums on cooperation between Igor Sikorsky KPI and each of the Korean universities were solemnly signed. The parties agreed that further cooperation at its initial stages would be aimed at the development of academic mobility, mainly student exchanges.